I hope you’ve all had an enjoyable festive season and are looking forward to a brand, spanking, new year! I’ll admit that though I’m not a huge fan of Christmas, I am definitely a new year kind of girl. I like the idea of it being a fresh start, a clean slate, a new beginning. It’s a great time to make all these promises to yourself for the upcoming year and watch as you systematically fail them month by month, feeling like a complete and utter disappointment by the time you reach the end of the year. It’s great! Yes! 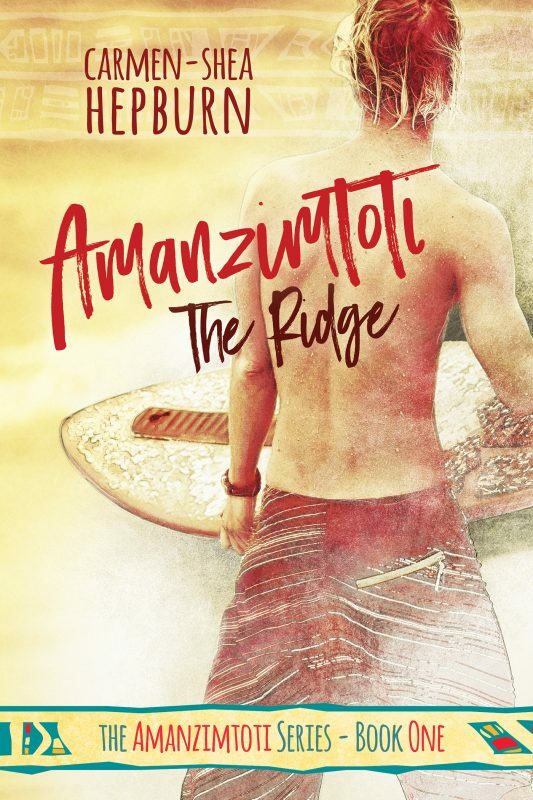 That’s right Amanzimtoti: The Ridge has had a makeover! Isn’t it simply gorgeous?! As a self-published author backpacking around New Zealand at the time of releasing my debut novel, I was very keen to keep costs down during my publishing journey, but when it came to arranging a print edition, I quickly learnt that my online graphics just weren’t going to pass muster and that if I wanted a book I would be proud to own a physical copy of, I’d have to hire a designer after all. And I’m so glad I did! I’ve been a silent fan of LC Chase’s work for almost a year now and when it came time to pick an artist to redesign my own novel? Well it was an obvious choice. LC has done such an amazing job with it, she’s not only worked with my original concept but she’s also added the ‘African’ theme to better tie the cover in with the setting of the novel. U gh. I’m so heart-eyed over it, and I really hope you guys love it as much as I do! Of course, now that I have a cover that’s up to scratch, it means I can finally- finally!– get that print edition sorted! OMG SO EXCITE! And because I want to make a proper job of it, I had LC design the interior graphics for the print edition too, so you’ll definitely want to consider getting your hands on a copy when it’s out! As for when it’ll be out? Well that is the question. 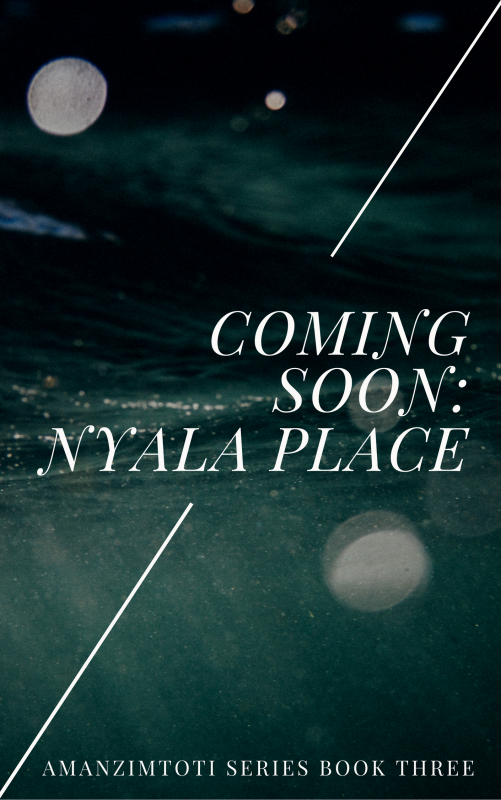 If you’ve been following my blog for any length of time you’ll know I’m very much ‘now now‘ when it comes to time, as in, when I say soon I usually mean it more as a concept for some unspecified amount of time as opposed to, you know, soon-as-in-within-the-next-few-days-soon. Saying that though, I’ll be delivering the final files to createspace at the start of the new year and pending their review of the documents and the length of time it’ll take for me to get the review copy to check over… then I’ll have a print edition available! TL;DR: I’m aiming to have the print edition out by the end of January! …maybe February? Er… well, it’ll be in 2017 so huzzah! 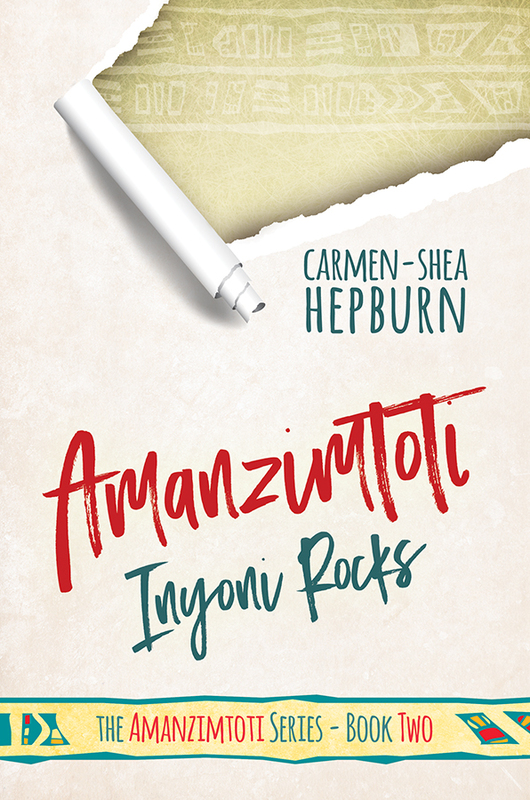 N ow, I said I was primarily excited about the redesign of my cover, which coincidentally relates to my upcoming print edition too, but I’d also like to take a minute to mention that I’ve been diligently working away at book two Amanzimtoti: Inyoni Rocks and that I’ve put the novel up on Goodreads and also for pre-order on Amazon (UK & US), with a (tentative) release date of March 12th, 2017. 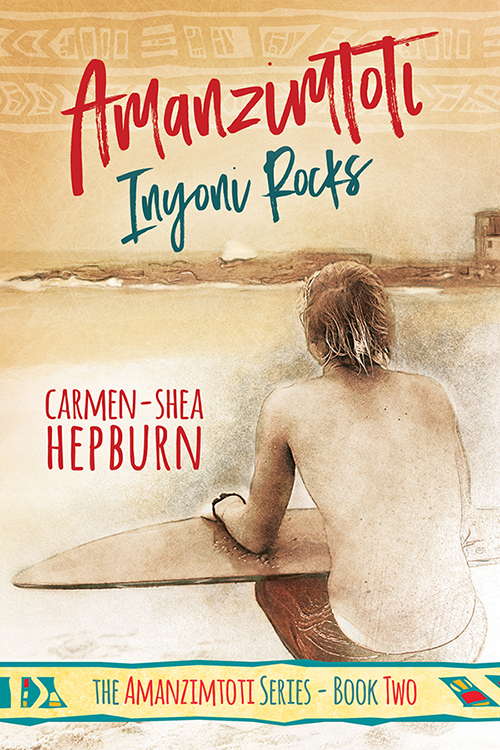 Once I have official dates for everything I’ll let you all know about some giveaways and competitions I have planned, as well as when I’ll be opening up ARCs for book two, so stay tuned. Before I leave you all, I also want to mention that in celebration of the new year and to better show off my snazzy new covers, my website has been given a wee make-over too. Hopefully it’s all looking a bit neater and easier to navigate than it was before. It’s all go-go-go here at casa del Carmen-Shea! And I hope you’re all as excited as I am for the year to come!